Another song from my Not Thomas playlist today and a blast from the past: ‘This is How it Feels’ by Inspiral Carpets. The video is certainly of its time, but I love the song and it’s rarely heard on the radio these days. Well, I can procrastinate no longer – the time has come for me to sit down and begin writing what will hopefully become my second novel. I think I can hear my editor muttering “about time too” 70 miles away in Aberystwyth, and I don’t blame her. I’m a very slow writer. I need to have the story straight in my head before I’ll consider typing even one word, and percolating a story isn’t a quick process, well, not for me anyway. My first novel, Not Thomas, lived in my head for ten years or more, and it was fully formed before I began typing it up. My next story has been growing for around two years – so not very long, relatively speaking. It feels a little soon to begin typing, if I’m honest. And it’s a long, long time since I began writing a new novel – 16 years, to be precise. I started Not Thomas in 2001 and wrote it incredibly slowly (my About Sara page explains why it took me so excruciatingly long) so I’m just a little bit out of practise. To help remind myself of all the things that are good to think about right at the start of the creative process, I thought I’d make this the theme of my blog for the next month or two. Get a new notebook or two. I write very little long-hand, preferring to type straight onto my laptop, but I couldn’t be without a large A4 notebook. For me, it’s the very first thing needed for a new writing project – after getting the story all sorted in my head and ready to go, that is. And honestly, it’s not just an excuse to buy beautiful stationery – although buying beautiful stationery is one of my favourite pastimes. It’s a starting point, somewhere to commit ideas to paper, and get them out of my head. I write my synopsis in one notebook, chosen especially for the project, usually spring-bound, so it’ll stay open all by itself on my kitchen table. I also use this notebook to jot down sentences that come to me in random fashion, character sketches and anything else that occurs to me when I’m cooking, washing up or writing something else. As I don’t tend to type up in order, I can just flick through the notebook to find inspiration and a section of the story to write about. And the little notebook stays in my handbag, so when I’m out and about I always have somewhere to jot down my thoughts. So that’s my starting point. I’d be really interested to hear what preparations you have for starting to write a new novel. What are your must-haves? Are you a procrastinator like me, or do you just dive right in? Drop me a line and let me know. Sara’s debut novel Not Thomas is published by Honno Press in paperback and as an e-book, and is available to buy direct from the publisher and from Amazon. What a week and a bit it’s been! A lot has happened since I last wrote about my experiences of being on The Guardian’s Not the Booker shortlist. The main new event is that my novel, ‘Not Thomas’, has been reviewed by Sam Jordison, The Guardian’s book club reviewer. And I guess it does sound pretty weird. I suppose it’s not the path all writers would choose to go down. I’m sure there are plenty of authors who would rather cut off their fastest typing hand than launch themselves into a less than flattering spotlight. I also knew that very many people who had read Not Thomas had praised it. I knew those readers had recommended it to other people, and they’d liked it too. Word-of-mouth was working well for Not T, but word-of-mouth is a slow process. I needed to hurry things up. I’m over fifty and I may never write another book. This was my one, and possibly, only chance at getting my novel out into the big wide world. Once I knew I was definitely on the Not the Booker longlist, I set about asking those people who’d already read Not Thomas and liked it, to think about giving it one of their votes. There were very many worthy titles on the list – some of them from writers I knew personally, some from Welsh writers like me, and some from world-famous authors. I felt uncomfortable asking people specifically to vote for my novel, but I wanted to draw their attention to the fact that this particular prize is voted for by the public. And they had two votes, so if they had a spare, they might consider giving it to Not Thomas. Thankfully, messages of support started coming in. People who’d read Not Thomas wanted to vote for it, but The Guardian’s Not the Booker voting page was proving a nightmare. At the top of the page it promised a ballot paper below, but at the bottom of the page there was no ballot paper to be seen. Nowhere did it say ‘Vote Here’. You had to click on ‘Join the Discussion’ to place your vote. Even then it wasn’t straight forward. So I wrote a step-by-step guide and pinned it to my Facebook page. I wasn’t directing people to vote for Not Thomas, of course, but setting out guidance generally about how to navigate the voting page. Despite this, a lot of people contacted me to say sadly they’d had to give up. But thankfully, so many more actually managed to vote. I had wonderful support from a whole range of readers. Two book clubs in my town had read Not T and they voted for it, and they encouraged other people to read it and vote if they liked it too. A fantastic group of on-line book bloggers, who had hosted a Not Thomas blog tour the week before, did the same. A group of teachers who’d all read Not Thomas voted and shared the news about my Not the Booker nomination on Facebook. They encouraged more teachers to read it too, and to vote for it if they liked it. Family and friends got on board, of course, and very touchingly, people from my home town who’d read Not Thomas contacted me to ask how to vote too. Well, I’ll just say that Not Thomas is published by a tiny, tiny publisher – Honno Welsh Women’s Press based in Aberystwyth. Four people work there, all part time. I had their total support, of course, and five authors who are also published by Honno did a fantastic job of sharing my posts, and reminding people which box took you through to vote on the Guardian page. But mass voting and rehashing book blurb it most certainly was not. All week long, I sat at my computer replying to the wonderful, and sometimes heartbreaking, comments that Not Thomas readers sent me via Facebook and Twitter. Teachers, foster carers and social workers contacted me, all pleased that the issue of child neglect had been raised by Not Thomas. One message particularly stands out, from a person who said she had been a neglected child, just like Tomos. She thanked me for giving a voice to neglected children everywhere. Through my tears, I wrote and thanked her for her kind comments. As it drew to a close at midnight on Monday, 7th August, the last vote and review for Not Thomas came in at 11.58. It was from my lovely 21-year-old niece. I crawled off to bed, exhausted by the whole process, but hopeful that the wonderful efforts of all the fantastic Not T readers had got the novel through to the next stage. At lunchtime the next day, my neighbour rang to congratulate me. I was still in bed, totally exhausted by the week’s efforts. I hadn’t yet discovered what he was about to tell me – Not Thomas was not only on the shortlist but had the most votes. It was absolutely amazing. And I’m so grateful to every single person who took the time and had the perseverance to vote for my novel. It was a massive team effort, and I’m so glad Tomos supporters are part of ‘the journey’. I know it’s a horrible term, but I think it’s the right one here. There’ll be more updates soon about this Not the Booker experience, but for now the comments are coming in on The Guardian’s page in reply to Sam’s scathing review. You can read them here and comment too, if you wish. There’s no guarantee your comment won’t be ripped to shreds by the Guardian’s book clubbers – just as they’re shredding Not Thomas – but that’s all part of the fun. Thanks for reading my (very long!) post. Please leave a comment if you were part of the huge team effort to get Not Thomas onto the shortlist, or even if you weren’t. Sara’s debut novel Not Thomas is published by Honno Press in paperback and as an e-book, and is available to buy directly from the publisher or from Amazon. Sara’s debut novel Not Thomas is published by Honno Women’s Press in paperback and as an e-book, and is available to buy on Amazon. I must have said it a thousand times by now – the last fortnight has been the craziest of my writing life. During the final days of July, from out of the blue, came a nomination for the Guardian’s Not the Booker prize longlist – an opportunity I could only have dreamt of – and on Monday 31st July I was thrown into a state of total mind-numbing panic. I had only just finished a blog tour with Brook Cottage Books, and it was Anne Williams of Being Anne that nominated Not Thomas for the Not the Booker longlist after she’d reviewed it for the tour. I didn’t know the baptism of fire that awaited me. The Not the Booker longlist was announced by Sam & Lisa, of the Guardian reading group, and we were off – all 192 of us that had titles on there – in a rush for the line, with hopes of getting off the also-ran list and into the winner’s enclosure. Before the winner could be found though, a shortlist had to be created. It was to be decided by a public poll – a vote for two titles from different publishers and a 100 word review that ‘showed you cared’. The five titles with the most votes would go through to the shortlist, and a sixth title would join them, selected by the judges. There was just one week to rally votes. So the rules understood, the race began. Not every author felt like making a charge for the finishing line, of course. The big names, I’m sure, hadn’t even bothered to spare a glance at that long, long longlist. Colm Tóibín, the Smiths – Ali & Zadie – Will Self and Matt Haig probably went about their Monday as if nothing earth-shattering had happened at all. Colson Whitehead has probably never even heard of Not the Booker. When you have a Pulitzer Prize for fiction I expect a mug from the Guardian doesn’t feature on your wish-list. Plenty of other not-quite-so-well-known authors decided they would sit back and see what happened. Some were just happy to feature on the list and in some of the comment boxes, and to get a bit of extra publicity for their titles that way. Some had been nominated before and hadn’t enjoyed it the first time round. But for me, being on the Not the Booker longlist was a once-in-a-lifetime opportunity. My debut novel, Not Thomas, had been published by Honno, a small female-only Welsh publisher, just two months before. It was receiving better-that-we-could-have-hoped-for reviews, and news of it was spreading by word of mouth. It had been July’s Book of the Month with both Waterstones Wales and the Welsh Books Council. Despite this, Liz – the PR person who Honno had employed on a freelance basis for the first couple of months of the novel’s life – had had very little luck getting mainstream media outlets to take any notice of Not Thomas. It certainly wasn’t for want of trying or lack of enthusiasm on her part. But a book from Wales about child neglect & drugs? Well, that’s a hard sell. She tried the Guardian and the Indy. “If only they’d read it…” she used to say. “We can’t make them do that,” was always my sad reply. But here it was, this one-off chance – an opportunity to make someone read it. And that someone was going to be Sam Jordison of the Guardian’s Reading Group – if only I could get it onto the shortlist. It was a chance for Not Thomas that would never come around again. And so I took a deep breath, tied my colours to the sticking post and became the ‘tiger mother’ Tomos never had but always deserved. And I let battle commence. Part 2 coming to this page sometime in the not too distant future. Which novel do you think the Guardian judges will choose as title #6? Will you be reading and reviewing all the titles on the shortlist? Have you read ‘Not Thomas’? What did you think of Tomos? 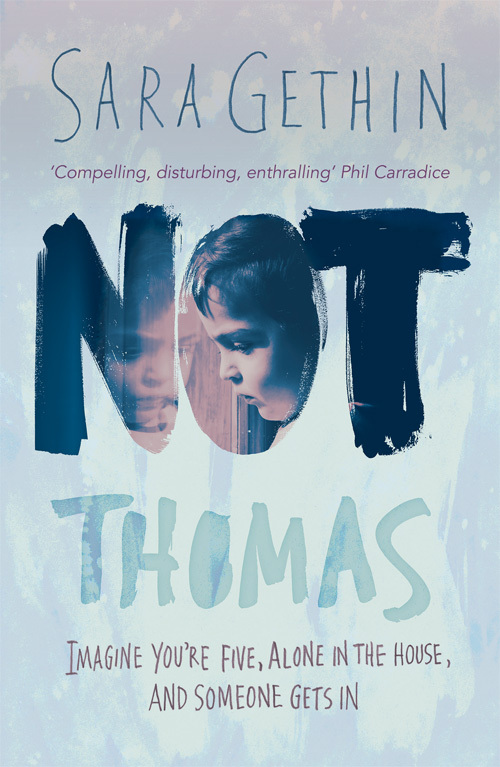 Sara’s debut novel Not Thomas – a story of child neglect and hope – is published by Honno Press in paperback and as an e-book, and is available to buy on Amazon. It’s been a very exciting week for me – a weird, amazing, crazy three days since I found out Not Thomas has made it on to the longlist of The Guardian’s annual Not the Booker prize. To be fair, it didn’t have to do anything to qualify, apart from meet the simple criteria that the regular Booker prize entrants meet. But it did have to be nominated. I’m very proud to say that Not Thomas was initially nominated by book blogger, Anne Williams. I’m so delighted that out of all the very many books she’s read this year, she chose my little Not Thomas. If you’ve read Not Thomas too, and liked what you read, you can vote now for it in the public voting stage. This ends at midnight on Monday, 7th August, so not long to go! There are a couple of rules: you must vote for two different titles & you must review one of the titles you’ve chosen. Why not go to the Guardian’s Not the Booker prize page and take a look at what people are saying in the comment thread? And if you’re curious about Not Thomas – a novel for adults in the voice of a five-year-old child – you can find a sample on Amazon. Not Thomas is available to buy for £2.84 on Kindle today. Read it by Monday and then if you like it, please consider giving it one of your votes! Before I crawl off to bed after another weird but wonderful day, I thought I’d post a quick round-up of ‘Being on the Not the Booker prize Longlist’ Day 3. It’s been a day when I’ve realised that there are so many people – who I’ve never even met in real life – going that extra mile to support me and Not Thomas. I turned on my laptop this morning and found the wonderful book reviewer Being Anne’s blog post about why she loves The Guardian’s Not the Booker prize and why she nominated Not Thomas for it. It’s so kind of her to choose Not T out of all the books she’s read this year, and I’m very honoured she did. This afternoon, the very talented YA author, Amy Kitcher created a wonderful graphic on twitter for Not T, plus a voting & buying link. It’s brilliant! I wouldn’t have a clue how to do it. She’s made one with all four of us authors from Wales on too. They’re on my twitter feed if you’d like to take a look. There are lots of other instances of people showing their support too – the re-tweets, the shares, the supportive comments. My lovely neighbour kindly put a post on our town’s FB page, and my local post office suggested I put a poster up there. And then there’s been the votes. A huge thank you to everyone who’s voted or reminded someone else to vote – the tally was creeping towards 20 when I last looked, far more than I dreamed possible on Monday afternoon, when I first heard I was long-listed.